Among some women, the girls’ getaway weekend or program has become an annual tradition where small or extended groups of women, ladies, girls, mothers, daughters or friends organize a get together unaccompanied by (one might even say unburdened by) or exclusive of men, boys, brothers and fathers. The motivation (and/or common denominator) is about connecting. A girls’ weekend might include recreating or relaxing together, enjoying good food and good wine, and a host of other activities that provide the backdrop for engagement and lasting memories. XCSkiResorts.com has found a list of women’s snowshoe programs for the upcoming winter 2014/2015 ranging from once-a-week group outings to week-long, all-inclusive packages. The Ladies Only Chocolate Fondue Snowshoe Tour is at night by headlamp through the towering forests and glades of Hollyburn Mountain on your way to the historic Hollyburn Lodge in British Columbia. Warm up with a mug of steaming hot apple cider before you enjoy some appetizers then a chocolate fondue on Fridays (Jan. 9 and 23, Feb. 6 and 20, and March 6 at 6:30 p.m.). These programs include rental snowshoes, trail access, guides/instructors, and an appetizer. Nipika Mountain Resort in British Columbia’s Kootenay National Park in the Canadian Rockies is the ultimate eco-resort, generating all of its electricity using green technology and offering self-sufficient cabin accommodations. There are group outings and interpretative snowshoe tours on the Nipika trails. 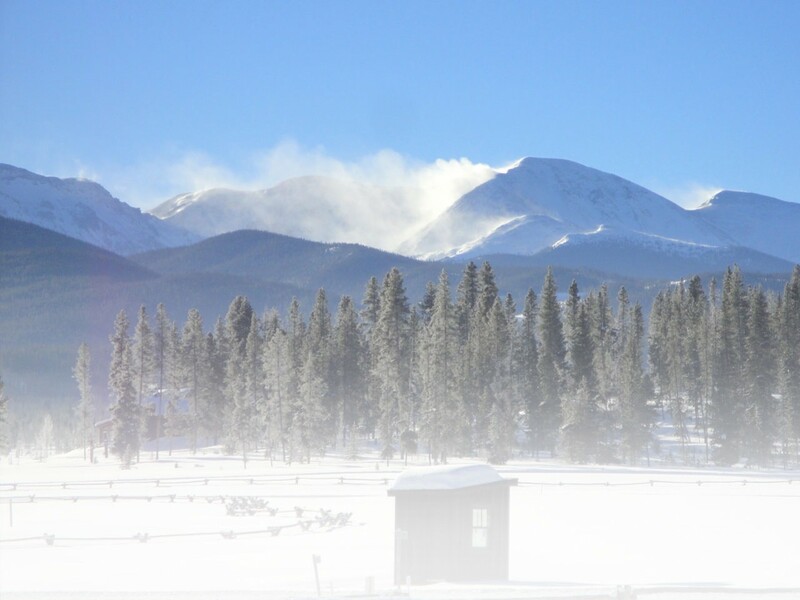 Ski, Spa & Soak Day at Devil’s Thumb Ranch Resort in Tabernash, Colo., on Saturday, Jan. 31 includes snowshoe or cross-country ski lessons, lunch, yoga, hot tub, sauna, and wine and cheese for $110 with massage or facial on special at $89. Keystone Nordic Center in Keystone, Colo. has a weekly Ladies Day program on Fridays with a classic cross-country ski lesson in the morning and a snowshoe tour in the afternoon. The Vista Verde Ranch in Steamboat, Colo., has the Share & Save program offer with three meals a day, snowshoe or cross-country ski instruction, guided backcountry tours, equipment to use, cooking classes, wine tasting, sleigh rides, horseback riding, photography workshops, and evening entertainment. Such a package includes transportation from the airport to the resort and there are many extras offered to extend the memories such as dog sledding, alpine skiing, massage, and premium wines at an additional price. Lutsen Resort, Minn., on the north shore of Lake Superior in Minn., has its Girlfriend Getaway Package, which includes a bottle of champagne, massage or treatment, dinner, BF for groups. The Go Red for Women’s Heart Disease program at Great Glen Outdoor Center in Gorham, N.H., on Feb. 6 offers a 50 percent discount on trail passes and rental equipment to those wearing red. There’s also an all-women’s weekend on Jan. 17-18 offering with a variety of classic and skate ski clinics, naturalist-led snowshoe tours, yoga, equipment demo and preparation lesson, snow tubing, nutrition talk, meals, refreshments and more. and clothing, invigorating exercise and sharing hot chocolate and tea around the wood stove. The program is free for participants with their own snowshoes, or $18 with a rental. Space is limited so pre-register by calling 800 859-2960. Tuesday Trekkers at Jackson Ski Touring Center in New Hampshire is a weekly social group for women or men from 1 p.m. to 3 p.m. for snowshoers of all abilities to explore the hidden trails with naturalist guide. The Fort Kent Outdoor Center in Maine is hosting its Winter Women’s Day on Saturday, Feb. 21. It runs 9:30 a.m. to 3:30 p.m. with activities including an exercise session, snowshoeing, and cross-country skiing with lessons and a guest speaker during lunch. There are more than 4 million snowshoers who know that snowshoeing is a fun, simple way to get out and explore outdoor nature during the winter months, all while getting great exercise. There’s no reason to be intimidated since snowshoeing has a minimal learning curve and the snowshoes give you a nice wide, stable base to move around on. You can also use poles to help navigate your way along scenic trails. Resorts have marked snowshoe trails available and most also have the snowshoes available to rent, as well as lessons and guided tours to help shorten the learning curve. So get out there, gals. This entry was posted in Destinations, Features, General, Homepage Featured by Roger Lohr, XCSkiResorts.com. Bookmark the permalink.